Interesting to note that this pin is identical to the Eisenberg Ice red poinsettia pin but the back is clearly marked PD with crown and open (half) wreath. Premier Designs was in business in 1980 through 1990s and items produced by Premier Designs are collectible and increasing in demand. 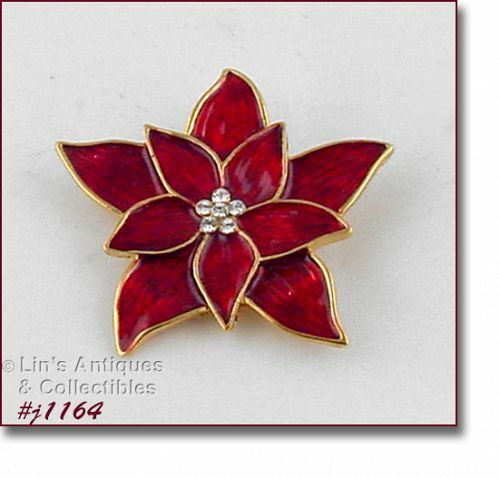 Pin is new old stock and has never been worn.